Thomas Paul was born and raised in New York City. 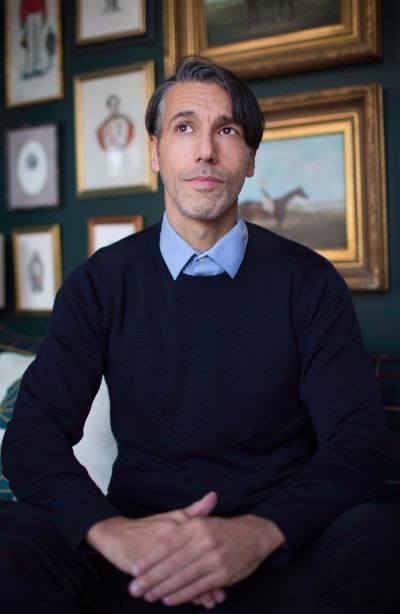 He got his start in the fashion business working as an intern at DKNY in the mid-nineties after, graduating from New York’s Fashion Institute of Technology with a degree in Textile Design. While working as a colorist and designer for a silk mill specializing in neckwear and scarves, he worked on neckwear collections for such designers as Bill Blass, Calvin Klein, and DKNY. This eventually led to the creation of his own neckwear collection, digities, in the late 90′s. From this was born the start of the thomaspaul pillow collection, launched in 2001, which was originally conceived of as an idea of utilizing the silk printing mill’s capabilities for home accessories instead of personal accessories. Since then the line has steadily expanded into other categories apart from silk pillows to includetabletop, stationery, and lamp shades. The ultimate goal being to have products covering every aspect of the home, all with thomaspaul patterns gracing them.